Labyrinths have been used to aid in worship and mediation since the Middle Ages. A labyrinth is different than a maze in that there is one path that leads right to the center, no dead ends, no misleading routes, just a simple winding line that allows you to let go and get “lost” without losing your way. These labyrinths can be found on the floors of cathedrals in Europe, where worshipers walk the winding path and pray as they go, the center symbolizing whatever it is that they are seeking. Finger labyrinths serve the same purpose by using the finger to trace along the winding path leading to the center. 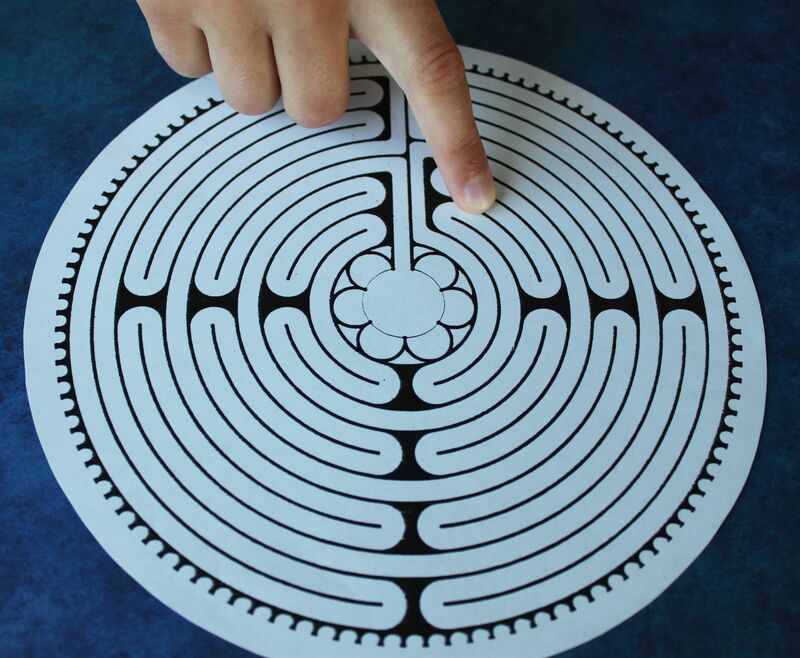 Here is a printable example of a Finger Labyrinth. Directive: Place your finger at the entrance of the labyrinth and slowly trace your way along the path trying to clear your mind and let your thoughts become quiet. As you go along, perhaps ask yourself “what do I need today?” and wait for the answer at the center of the labyrinth. If the answer is not there, slowly retrace your steps from the center out and try again. Once you have an idea of what you need today, use clay or any art medium you enjoy to create an image of what you need. Or you may not want to ask any questions at all and use the process of following the line as a way to “meet yourself” in the center. To be quiet in your mind, to arrive and simply exist in the center. Either way, using this technique is a unique way to clear your thoughts and get in touch with your breath. Your link to the labyrinth is broken.